April 17th was a warm day, even when I went out in the morning. 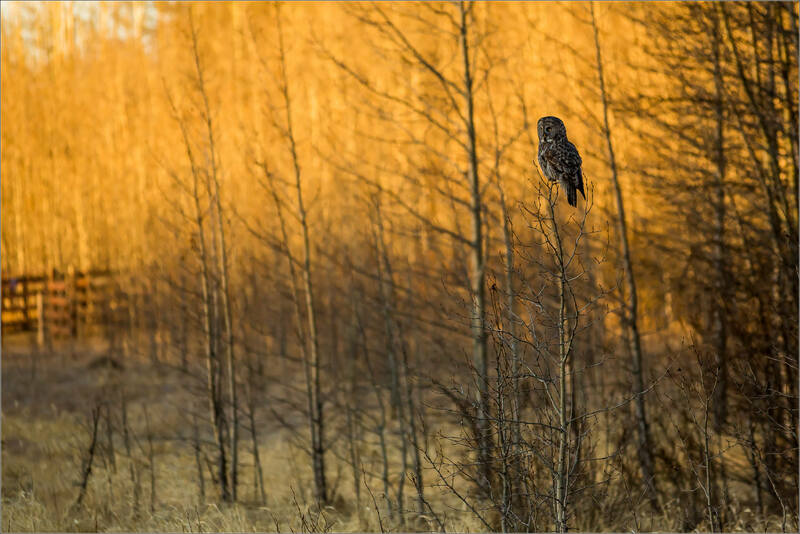 I photographed this Great gray owl perched over a field in the early golden light and it felt like summer was just around the corner. 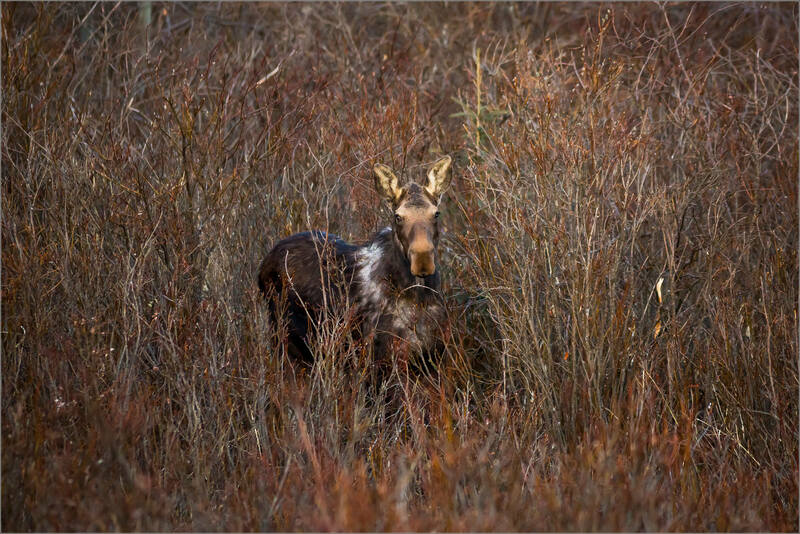 Shortly before finding the owl, I spent a few minutes watching the moose below as it grazed on these brambles. With lots of sunshine all day long, the temperature rose up to 20°C by the afternoon – which is lovely for this time of the year. The next day, was a very different story as snow fell overnight and changed the land completely. 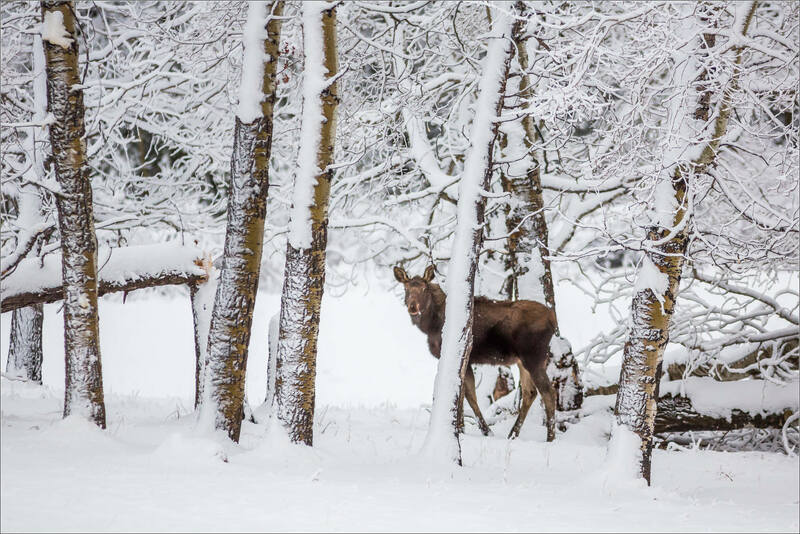 I happened to find another owl and another moose while I was out in the white winterland. I am used to our wild weather swings but I still found the difference striking. This entry was posted on April 19, 2015 by Christopher Martin. It was filed under Bragg Creek, Moose, Nature, Owls, Wildlife . 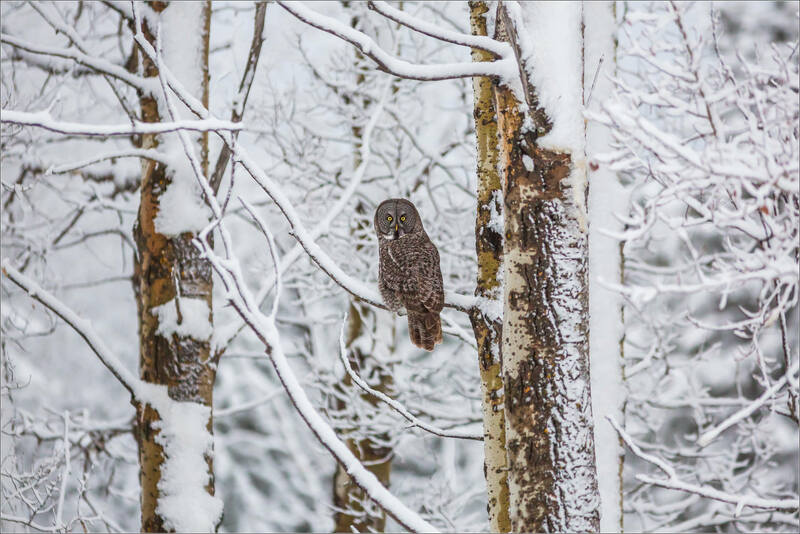 I really like the owl in the snow. Great juxtaposition…really shows the unpredictable nature of the season. Thanks AH – our weather in southern Alberta can certainly be unpredictable – you’re right that spring often amps that up another level!